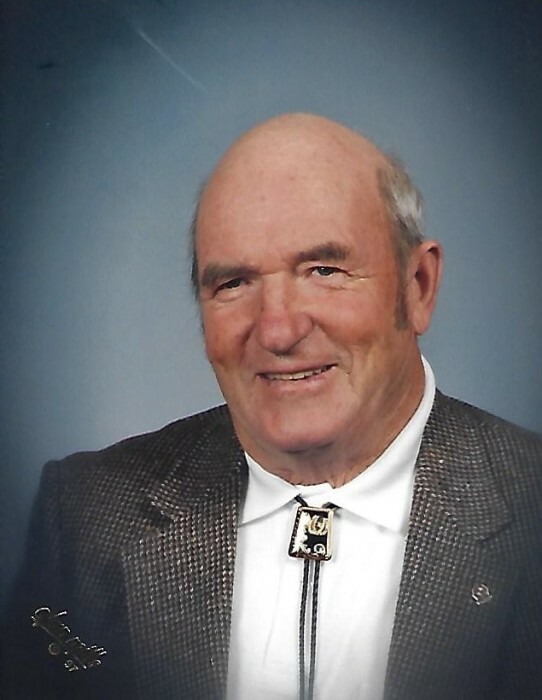 David Ernest King, age 89, of Baker City, Oregon passed away on April 6, 2019 at St. Alphonsus Medical Center in Boise, Idaho. A memorial service will be held on Saturday, April 13, 2019 at 11:00 AM at the Calvary Baptist Church. There will be lunch at the church following the service. David was born on December 22, 1929 in Baker, Oregon to William King and Beatrice VanCleave. He attended Big Flat Grade School and Aumsville High School. On June 1, 1951, David married Shirley Dimmick in Baker City, Oregon. He was a member of the Calvary Baptist Church, John Day Volunteer Ambulance and John Day Police Reserve. David enjoyed cutting wood, hunting, camping, fishing and tinkering in the garage. Survivors include his wife, Shirley King of Baker City, Oregon; daughters, Karen Carriere of Baker City, Oregon and Linda (Don) Wright of Madras, Oregon; son, Gary King of Baker City, Oregon; grandsons, Bradford (Molly) of Hawaii and Daniel (Rebecca) of Culver, Oregon; and six great-grandchildren. He was preceded in death by his parents, two brothers and four sisters. Memorial contributions in memory of David can be made to the charity of one's choice or The Gideons through Gray's West & Company at 1500 Dewey Avenue, Baker City, OR 97814.